Colleen Ann Gamble, 79, widow of Richard Gamble of Port Charlotte, FL, passed away on Saturday December 1, 2018. She was born on May 11, 1939 in Cloquet, MN, the daughter of the late Chet and Madonna Wheaton. Colleen was a retired catering executive for Isles Yacht Club, who settled in Florida in 1994 with her husband of 55 years after living in Minnesota, Michigan, Indiana, Pennsylvania Connecticut and New York. She was an active member of The Church of the Good Shepherd, Punta Gorda, FL. 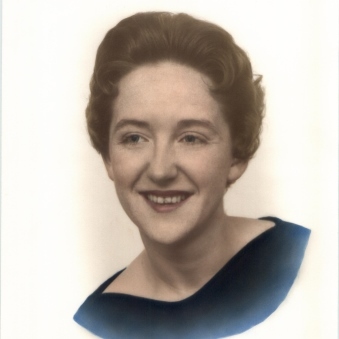 She is survived by her son Charles Gamble and his wife Tara of Bristol, CT; her two grandsons Nicholas Gamble of Bristol and Benjamin Gamble of East Hampton, CT; her sister Sally Spendler and her husband Manny of Venice, FL and her step-sister Stephanie Parsons of Windsor, CT.
A celebration of Colleen’s life will be held on Monday, December 17, 2018 at 10AM at Church of the Good Shepherd, 401 W Henry St, Punta Gorda, FL. In lieu of flowers, donations may be made to: St. Joseph Polish Society Scholarship Fund, 88 East Main St., Forestville, CT 06010.